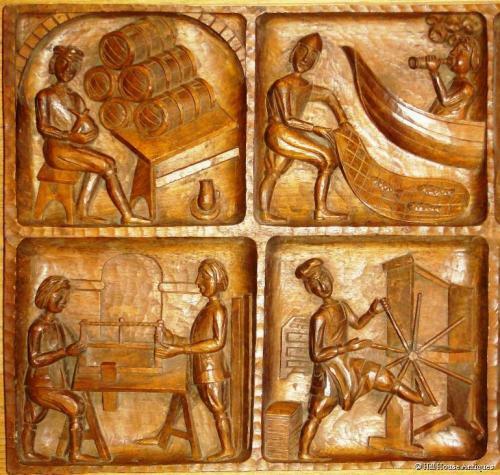 An unusual & very charming early 20thC wooden carving (probably teak) in the Arts & Crafts naieve style; of eight panels depicting the different trades of the day. Very well carved; c1930`s. Approx 39" wide by 18" high by 2" deep.